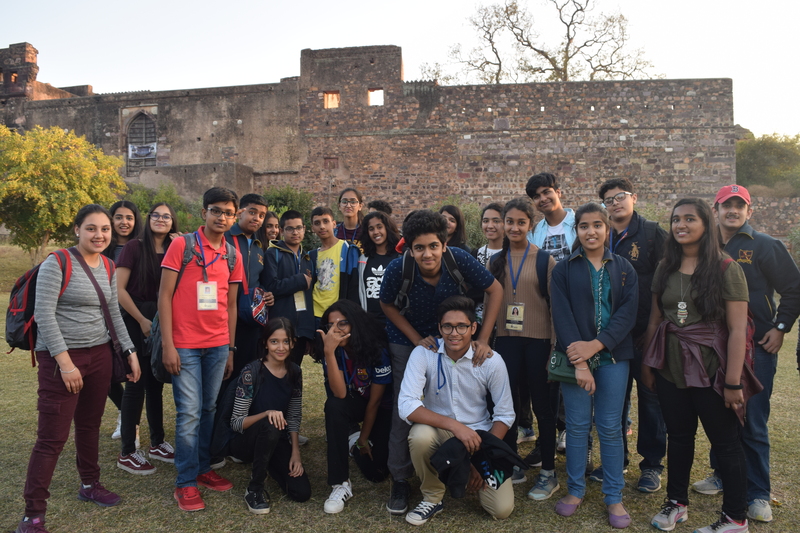 The journey to Ranthambore has honestly been the best trip our school has conducted for us, along with EdTerra Edventures. 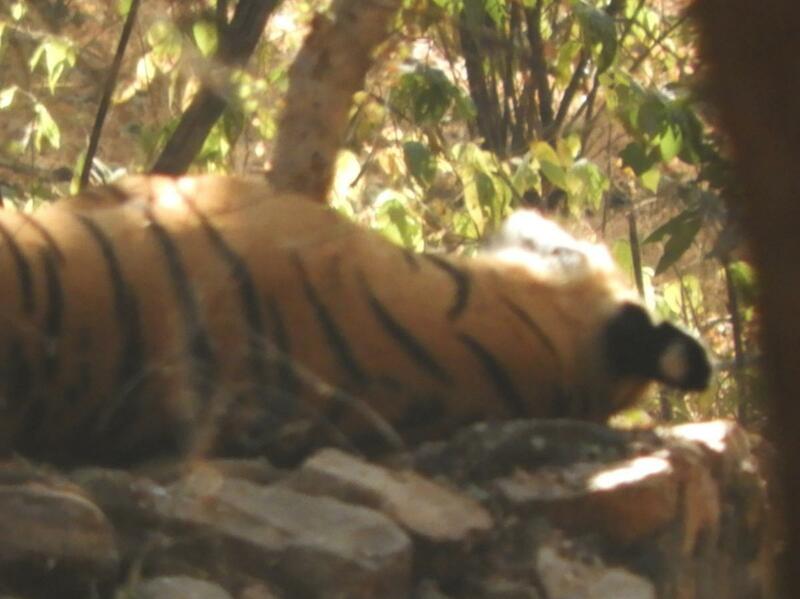 Our journey began at 5 in the morning, as soon as we boarded the bus to leave for Ranthambore. This journey enabled us to understand the critical condition of the wildlife around us and has prompted us to bring about changes that will have a positive impact on the environment. The first day was pretty tiring since we had to wake up very early to board the bus on time. After a power nap on the bus, we were soon energised to enjoy the rest of the drive, and the energy on the bus changed instantly. We started listening to music and playing games like dumb charades. It was soon time for breakfast after which we went back to our buses to continue the journey. Once we reached the resort we had lunch, followed by some free time to settle in. We were then briefed about the tasks to be done and we were allotted teams and given team badges with names like chameleons, lizards and cheetahs. After that we were shown a presentation on the Ranthambore National Park and were given an actual insight about what it is like for animals to live there, by watching a really interesting documentary about Machli the tigress; we were told interesting facts about the park. Soon it was time for dinner after which we went to our rooms. The second day was the best as we got to go to the national park and we were very excited about this visit. We woke up a little early and got into our canters. The ride from the hotel to the park was very exhilarating but once we got into the gates of the park it became all the more fun! In the first five minutes of our safari we had already seen a paw print! The scenery in the park was truly magnificent. We saw many different species of animals like the spotted deer, sloth bear, black buck, nilgai and lots more. We also got to see different species of plants and birds and we even saw two crocodiles. Even though our canter was not lucky enough to see a tiger in action, we got to see a tiger sleeping, but the other canters passed by a tiger who walked right past them. They were able to get a good glimpse of the tiger this way. 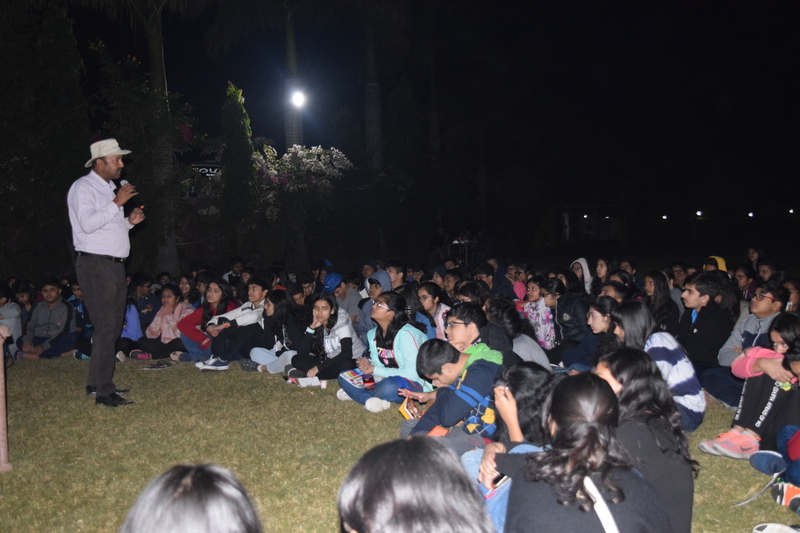 Once we got back to the hotel, we ate our breakfast and started with some fun activities where we had to present a play on tigers; the script of the play was eye-opening and insightful and showed us the importance of tigers. The tiger is given so much importance not just because it is our National Animal but because of the huge impact it has on our ecosystem and us. 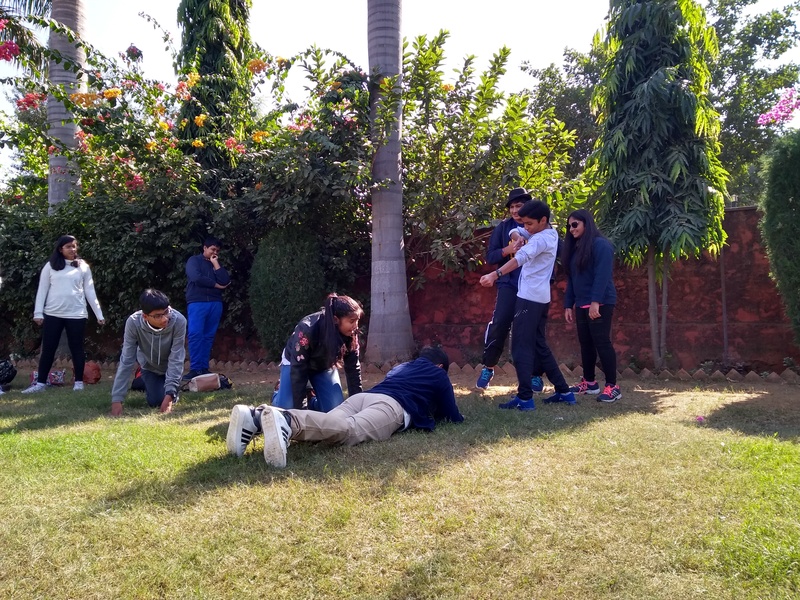 Once we finished our lunch, we moved to the Ranthambore Fort and participated in a treasure hunt between our groups where, even though we came third, we had lots of fun. 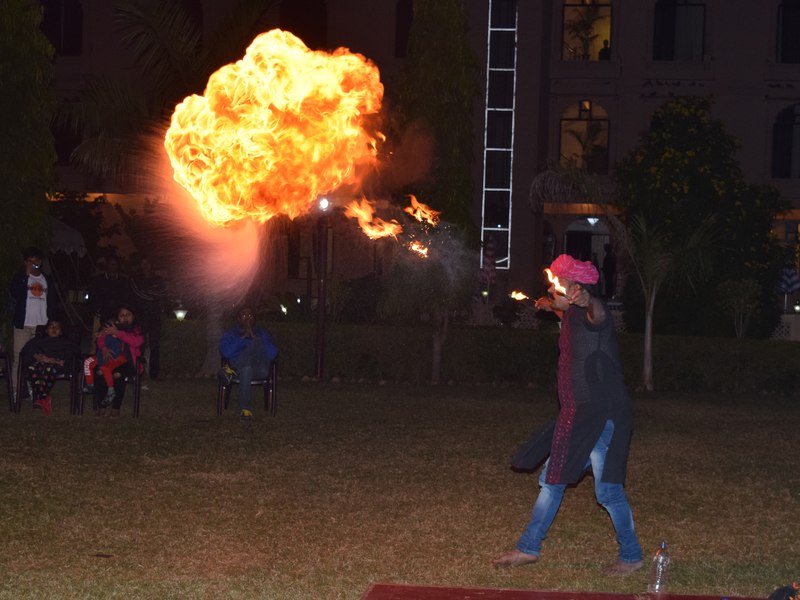 After that we moved back to the hotel for a cultural evening where we enjoyed a performance presented by the Rajasthani folk musicians, followed by a DJ night where we danced to our hearts’ content on a special dance floor, bringing an end to a perfectly fun trip! The next day we had our breakfast and moved into the buses to get back to Delhi. Overall, this trip has taught us a lot about our animals and has changed our perception about tigers, that they are not violent and harmful creatures, but are actually very beautiful and majestic animals, and play an important role in the smooth functioning of our ecosystem and maintaining our ecological balance. EdTerra Edventures conducts various international and domestic programs for the youth. 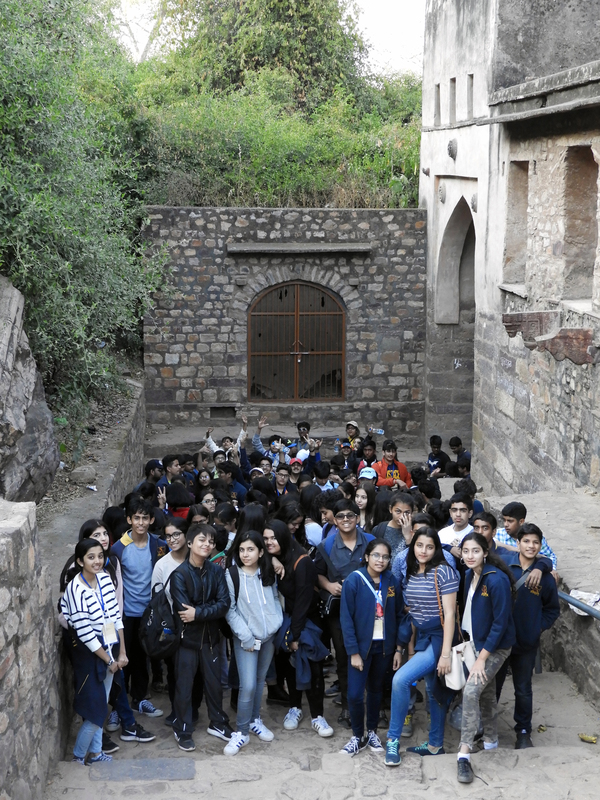 If you go to school and are under 17 years of age, ask your school to contact us to arrange a visit to your school for an introduction to the “Ranthambore” and other journeys under EdTerra’s Discover India Program. For queries call +91-11-48885800 or visit EdTerra Browse Journeys page to know more about the programs we offer to school students.